Italian based Automatic Lamination Technologies Srl. 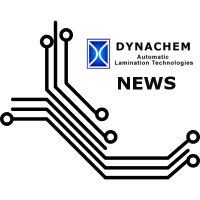 (Dynachem) and German Maschinenfabrik Lauffer GmbH & Co. KG (Lauffer Pressen) have entered a close cooperation with respect to the development and production of a new generation of automated lamination system for laminating dry film and dry film solder mask on flexible and rigid PCBs, LEDs, ABFs, IC substrates and semiconductors. 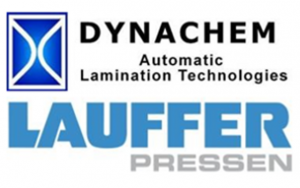 The new generation of systems will include proven Dynachem equipment modules such as pre-tack laminators and modular vacuum chambers as well as electrically heated, flat bed lamination presses from Lauffer. The system is designed to ensure the elimination of trapped air bubbles from the product surfaces and provide perfect encapsulation. The modular system will be operated with roll-to-roll conveyors. SBU technology and many other film layup applications. The integration of the new Lauffer flat press module ensures a good surface flatness and adhesion of the finished good. We expect this collaboration to be fruitful in addressing our customer needs and together with our new vacuum chamber, this new line developed with Lauffer will greatly expand our product offering to the existing customer bases of both companies and new customers, says Osvaldo Novello, Managing Director at Automatic Lamination Technologies.